New Delhi, June 25 (SURYAA) There are a few jewellery pieces that are a staple in women's wardrobes, chunky bracelets, cocktail rings, ear studs, ornate nose pins and chand balis are few trinkets that are on every womans wish list these days, say experts. 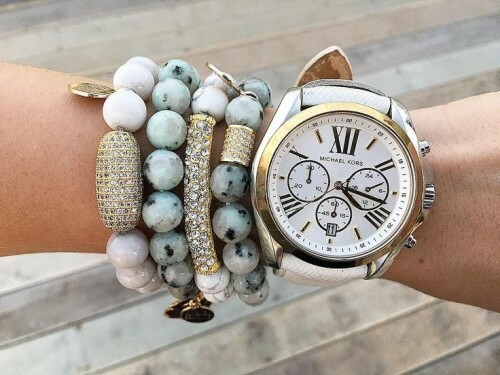 * Chunky bracelets or statement cuffs are the perfect way to complement your dress. They are one of the most versatile ornaments and can easily be worn with different outfits to become a signature piece for any occasion. * The trend of earpieces keeps on changing. There could be chandeliers one year or shoulder dusters the next, but stud earrings never go out of fashion. * Cocktail rings are also an ideal way to flaunt your choice in style. There could be a jewelled ring, a single colourful stone ring or fully studded one for a bolder look. Stylish double finger rings are also a hit with the fashion lovers. * Pearls are eternal. The beauty and elegance of pearls is unmatched. Be it a white pearl or any other variety offered today, one can never go wrong with it. * Hoops, being one such jewellery item that a girl is most likely to borrow from her grandmother, are also in vogue these days. This fashion staple works with almost any type of outfit. Rather than setting a particular tone for itself, it blends gracefully with any style and takes your style a notch higher. * Chand balis are setting new fashion goals these days. They are the new face of jewellery and can be teamed up with both ethnic as well as western dresses to create a fusion look.